Alarm Business Asset Sale vs. Stock Sale: Which Option Is Right For You? Alarm Business Asset Sale or Stock Sale: Which Option Is Right For You? There are a lot of big decisions that come along with selling your alarm business. One of the biggest, and perhaps most complicated, decisions is deciding how to structure the sale. Depending on the type of company you own, you may have a number of choices when it comes to sale type. Two common alarm business sale types are asset sales and stock sales. It’s important to understand these sale types so you can make the best choice for your business. An asset sale is the transfer of specific company assets and liabilities. In this scenario, the seller maintains possession of the legal entity while the buyer purchases company assets, including equipment, fixtures, licenses, inventory, trade secrets, and more. In most cases, the seller retains long-term company debt obligations during asset sales. Asset sales provide buyers with a number of tax benefits, and can make it easier for buyers to improve cash flow within the company in the first few years. They can also help buyers to avoid inheriting potential liabilities from the seller. On the downside for buyers, the complications that can arise with transferring ownership of certain assets can potentially slow asset sales down. For sellers, asset sales are not always ideal from a taxation perspective. Depending on the company type and the conditions of the agreement, some assets may be taxed at a higher rate or may even be taxed twice. Asset sales are often the preferred sale type among buyers. During a stock sale, the buyer purchases a company owner’s shares of the business, giving them ownership of the seller’s legal entity. Assets and liabilities are transferred to the buyer along with company ownership, though aspects of the company that the buyer does not want can be distributed or paid off before the sale is finalized. 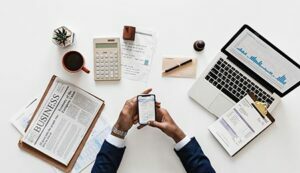 It’s important to note that if your alarm business is structured as a sole proprietorship, a partnership, or an LLC, you will not be able to structure the sale as a stock sale. This is because none of these company types have stock. That being said, stock sales are often preferred by sellers. All proceeds from the sale are taxed at a lower capital gains rate than those from an asset sale, which makes this sale type appealing. Additionally, in a stock sale sellers often are not responsible for future liabilities and claims, as these transfer to the buyer with the purchase. Though sellers may prefer stock sales, they are often viewed as a bit more risky for buyers. Without the option to re-depreciate certain assets, buyers can face higher future taxes than they would had they gone with an asset sale. Additionally, by purchasing stock, buyers may be taking a larger risk as they may inherit potential or undisclosed liabilities that they were not initially aware of. Which Type of Sale is Right For My Alarm Business? Understanding the types of sale options available can help to guide you in the right direction when it comes to selecting the best type of sale for you, your buyer, and your business. There’s no one size fits all answer to this question; each business and sale scenario is different. As a result, if you’re looking to move forward with an alarm company sale, it is in your best interest to work with an experienced alarm company broker. He will be able to advise you and guide you to the best sale type option for you and your business, plus assist you with finding a well qualified buyer willing to pay top dollar for the company you’ve worked so hard to build. This article is not intended to be legal advice, so it is imperative that you consult with the appropriate professionals as you’re working towards the sale of your company. This will ensure that all of your legal interests are protected and your sale is structured appropriately. Ready to Sell Your Alarm Company? AFS Can Help! 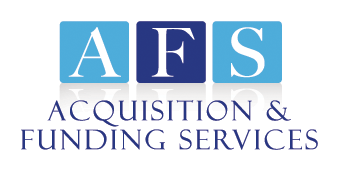 At Acquisition & Funding Services, we know what it takes to sell an alarm business for top dollar! Industry expert Rory Russell has been in the alarm company mergers and acquisitions industry for decades. He’s familiar with all the ins and outs of alarm company sales, and his insight is incredibly valuable when it comes to ensuring that your sale is as profitable as possible. With approximately $350 million in alarm business financing, mergers, and acquisitions under his belt, Rory has the knowledge and insight you need to make the right choice for your business. If you’re preparing to take the next step when it comes to selling your alarm business, get in touch with Rory today at (800) 354-3863 (cell with 24/7 availability), or contact him online to get the conversation started. Broker vs. Lawyer: What’s the Better Option When Negotiating the Sale of an Alarm Company? – Find out what sets brokers apart as the superior choice when it comes to selling an alarm business, and learn what they have to offer that lawyers do not. 8 Questions You Must Answer Before Selling Your Alarm Business – Before you move forward with initiating the sale process, you should be able to answer these 8 important questions. How to Sell Your Alarm Business for Maximum Profit – Read our 5 tips for maximizing the profits generated by the sale of your alarm company.